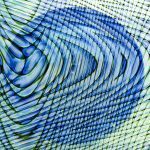 View basket “eCourse Design in Quilting and Patchwork” has been added to your basket. 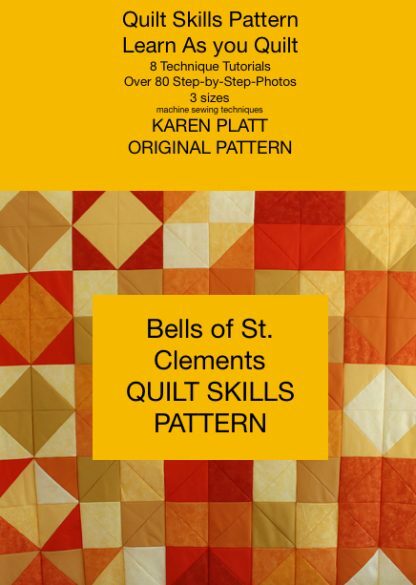 A versatile Summer Inspirations quilting pattern and tutorial BELLS OF ST. CLEMENTS. Part of my sensational new skill builder quilt series. Even beginners can achieve this in no time. Two years ago I had difficulty sewing a straight line, I designed and made this quilt for others like me. I call it Learn As You Quilt. These are real confidence builder quilts. If I can do it, so can you. Three optional sizes: Cushion, Lap Quilt, Full-Size Quilt. Instructions are for the lap quilt, size 134cm (53 inches) square approx. 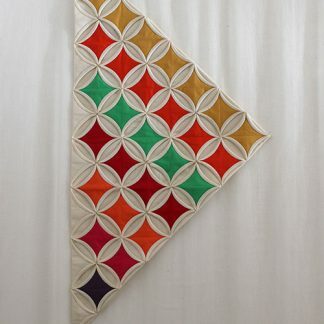 Anyone can follow the instructions and photos to make this unique quilt. You can use QAYGO (quilt as you go) or make in the traditional way as I did with a patchwork block top, then insert wadding and backing and quilt in one go or send out to quilt. Each technique is described in full. 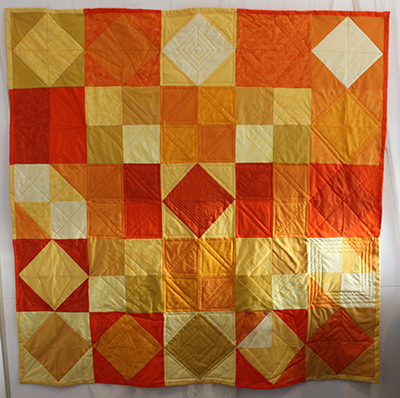 I have made the process as simple as possible so that you can make a professional looking quilt when you are still learning techniques. All photographs are in colour. The back differs from the front, so you have two patterns in one. If a technique is not for you, the instructions show options and alternatives. 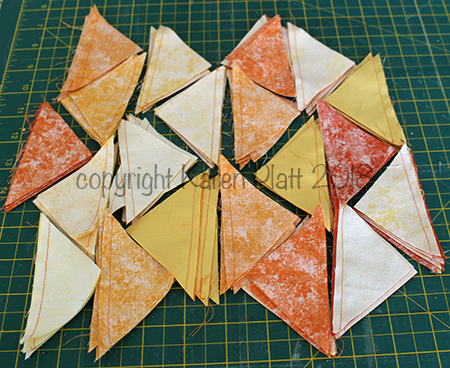 All joins are straight joins, there are no mitred corners. 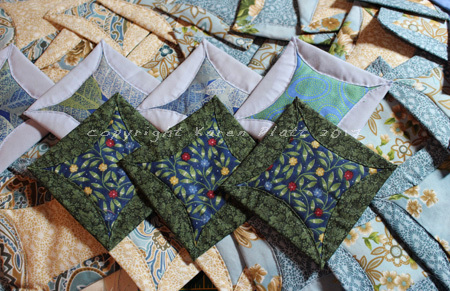 There is no quilt kit for this particular pattern but similar fabrics are easily available for you to achieve a very similar look. 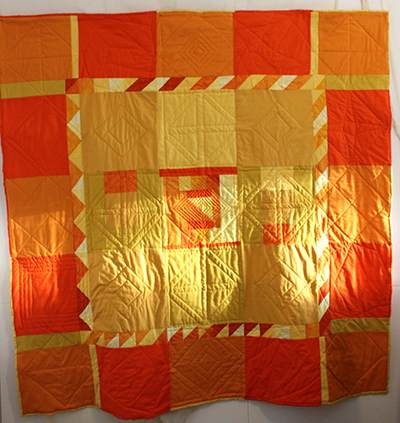 An original Karen Platt Quilt Design. 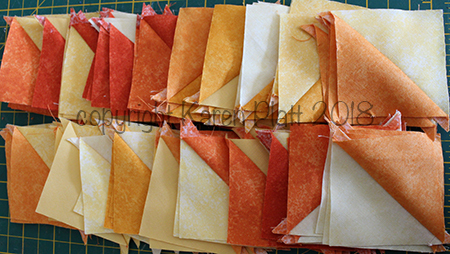 Look out for the SPRING Learn as you quilt pattern coming shortly. 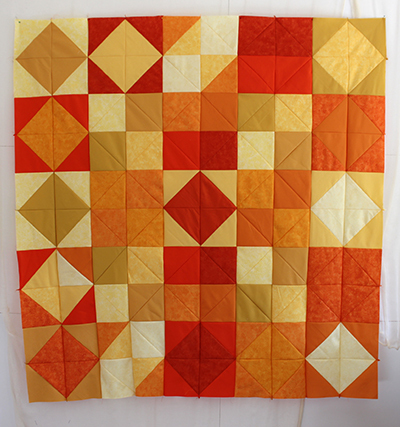 If you are learning to quilt, take a look at our other tutorials and ecourses on the website. We make quilting fun. N.B. This pattern and tutorial is sent by manual download. Please note time differences around the world might mean you do not receive your pattern for 24 hours.